You have embarked on a romantic journey that began with your engagement and continues now with the planning of a day you have dreamed of… and a day you will never forget. Will you leave your biggest of days in the hands of amateurs? Or will you, like thousands of other brides and grooms, trust a company that has done thousands of weddings. Will you trust part-timers? Or will you choose an organization with people who’s life’s work and livelihood is dedicated to happy brides and grooms. We offer the latter, and hope you choose the same. Sophisticated fun! That is how our past clients have described the NYU Entertainment MC’s, who have entertained thousands. The level of interaction is pre-determined by the host and our party professionals. So, whether you want your MC to act as a conservative party host or an off-the-wall party animal, creating your dreams is our first priority. Also, with each MC performing at a hundred parties per year, experience is the most important quality and always guaranteed! You can depend on our group of DJ’s to have the music you and your guests know and love, as they are equipped with the most extensive music libraries in the industry. Since our DJ’s coordinate beforehand, we’re guaranteed to provide all of your favorites as well as some exciting surprises! Volume too high? Send a request the DJ’s way to adjust volume accordingly on our state-of-the-art sound systems! Forget to request a song beforehand? Our DJ’s can download music on-site at any venue and have it ready to play in about a minute! NYU has the confidence, knowledge and experience to handle all types of events from simple parties to extravagant formal functions and everything in between. Have you and your entire bridal party walk down the aisle to beautiful musical arrangements provided by one of our string quartets or brass groups. Other instrumentalists include harpists, pianists, and woodwind ensembles. • Produce and show a photo montage of the guests of honor. • Zap Shots: Take digital pictures of you and your guests throughout the night to show periodically on the screens. • Live simulcast: Shoot all the action as it’s happening and see yourself on the big screen! Add a few digital plasma screen TV’s to your party and watch the crowd go wild! The plasmas offer a variety of visual purposes: a montage of guests of honor, live simulcast of the party, guests and dance floor, and also digital photos taken that day and more! Your party will be larger than life with the addition of a 10-foot giant sreen to go with your plasma TV capabilities. Our giant screen is set-up with zero interference and can be viewed from all areas of the room! Illuminate and electrify your room with NYU Entertainment’s light shows! We have a lighting package to accommodate every budget and need. From our basic light shows that go with the beat of the music, to our intelligent lighting that transforms your room into a nightclub. Or have the names of the bride and groom in lights with the help of our custom Go-Bo department. Any designer will tell you that lighting is everything. Our extensive inventory of LED and wireless LED lighting enables you to transform any banquet room into a setting truly unique to your style. Uplight certain areas or your entire room to create a warm, inviting atmosphere your guests will love. Strategically placed pin-spot lighting to make your centerpieces “pop!” and give them that “wow factor”. NYU Entertainment prides itself as being one of the most trustworthy and knowledgeable companies in the industry. That said, we also know the most reliable and quality vendors in the area to make your occasion spectacular. 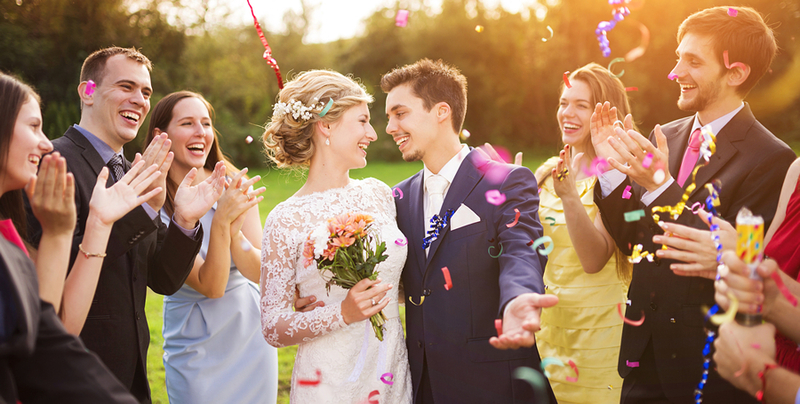 Why not have your special day planned through one central agency, NYU Entertainment, eliminating the headaches that come with dealing with several different vendors at once?